So you’re off to Dallas. Your calendar’s already filling with meetings - but there’s still plenty of opportunity to enjoy yourself in the Texan sunshine if you know where to look. Luckily, we’ve got your back. 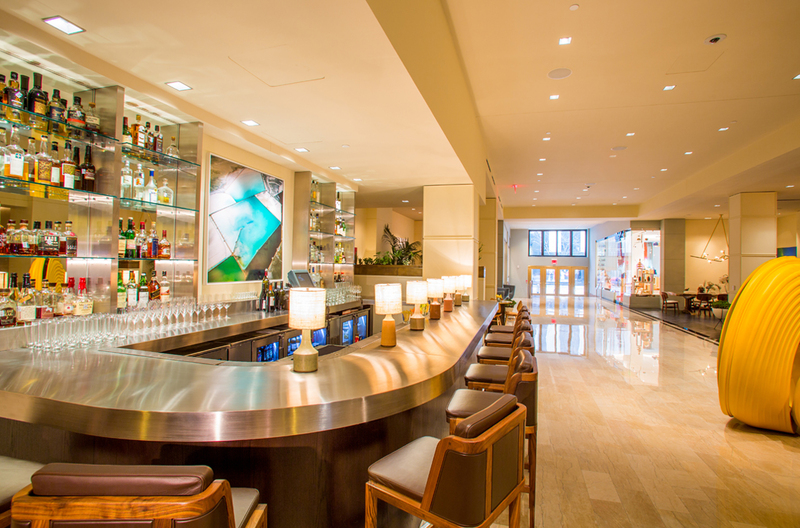 Here’s how to upgrade your Dallas business trip into a paid-for vacation. So you have fun, relax and explore the city’s hidden highlights – as well as sealing those deals with ease. One of America’s fastest growing cities according to Forbes magazine, Dallas sits at the geographical heart of the US, equidistant from both coasts. 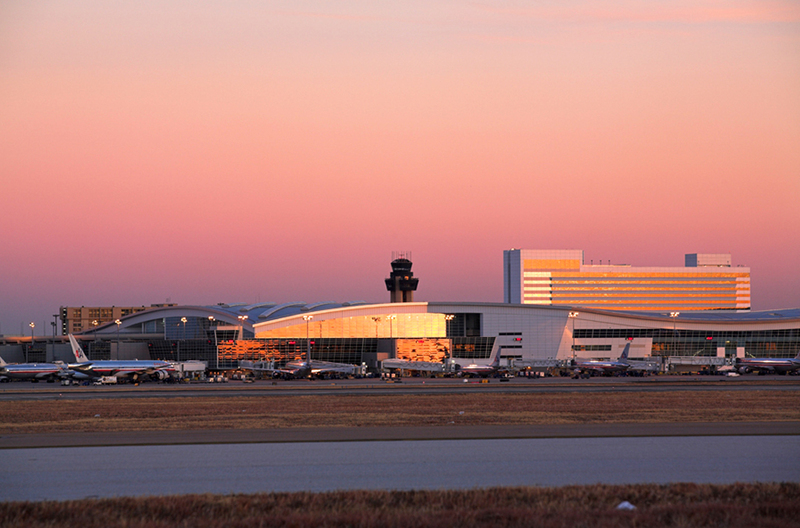 A fact which has seen its strategically-located airport rise to become one of the busiest on the planet. Hertz at DFW Airport is just 19 miles from downtown Dallas – an easy drive down TX-183 and then I-35, Eastbound. It should take you around 35 minutes to reach the city. They do everything bigger in Texas, and this is your golden opportunity to join them. The Cadillac Escalade is perfectly suited to the Big D - and Hertz maintains a sizeable fleet here. Dallas is a medley of increasingly hip neighbourhoods (Deep Ellum, Oak Lawn and Lower Greenville among them) but you’re going to want a base downtown, where most of the business is still done. In terms of hotels, the standout star (especially if your accounts department is paying) is The Joule. Housed in a spectacular art deco building on Main Street, it has more than 30,000 square feet of meeting spaces (from terraces to boardrooms) – and a world class spa in the basement for relaxing afterwards - not to mention an amazing cantilevered swimming pool jutting from the 10th floor. A strong mid-range option is The Magnolia on Commerce Street, with its buzzing bar and famous red Pegasus adorning the roof (an invaluable landmark if you’re unfamiliar with the city), while style on a budget can be achieved at Hotel Indigo, beautifully positioned on Main Street, just a stone’s throw from The Joule. 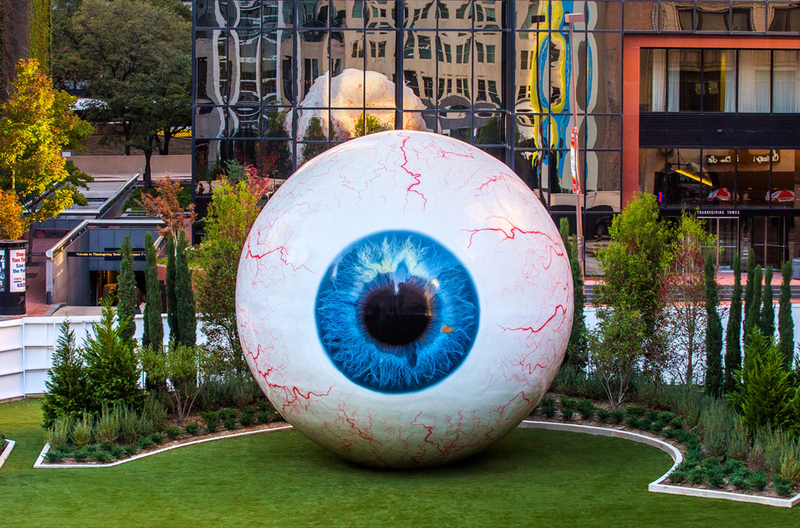 Whether shaking off jetlag or preparing for your first pitch, there are multiple running options to and from the heart of downtown – usually accepted as the Giant Eyeball sculpture on Main Street. From the Eyeball, hang a left onto Elm Street to begin your run, then immediately right onto Akard Street. This will take you all the way up to Woodall Rogers Freeway, where you’ll turn right again, passing through pretty Klyde Warren Park before turning right once more, onto Olive Street. Leading you through the heart of Dallas’ world class arts district, this road takes you all the way back to Elm Street, where you should see the Giant Eyeball roughly 30 minutes after you started. When an early morning business rendezvous is called for, there are three outstanding options >inside< The Joule: upscale brasserie CBD Provisions, breezy street-facing café Americano and jaunty coffeeshop Weekend - open from 6.30am every morning, despite its name. Alternatively Ascension Coffee on Elm Street, is another local favourite for talking shop in pleasant surrounds (order the Croque Madame Eggs Benedict – you won’t regret it), while great spots for a more casual brunch with friends include Yolk, Breadwinners and Café Brazil. When it comes to meeting and eating with business clients in the middle of the day, Dallas has an embarrassment of riches. Uptown – directly north of downtown – has a multitude of impressive options, with Lark on the Park a strong contender, based on location, views and menu. On a sunny day it’s a genuine game-winner, with the shrimp cacciucco a standout star. Other strong options include the upscale Saint Ann and the multi-award winning Fearing’s. Hide, recently crowned the best new bar in Dallas, is the perfect place to seek out if you’re looking to impress clients. 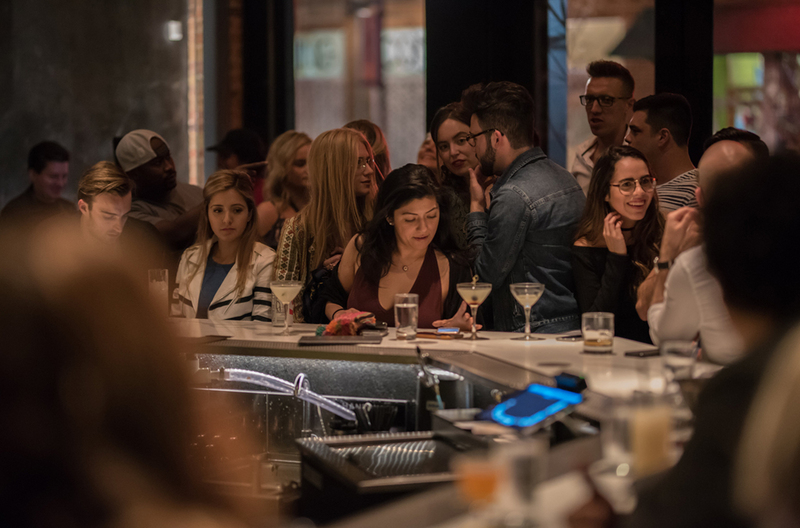 Well positioned in Deep Ellum – a hipster-friendly enclave on downtown’s eastern flank – it specializes in scientific cocktails, attracting a young, upwardly mobile professional crowd on weekday evenings. (The ‘Smoke and Mirrors’ cocktail is a particular treat). Meanwhile, the uber-smart Mansion Bar – a Dallas institution – never fails to impress in the style stakes and is often good for celebrity spotting. For more relaxed drinks with friends, the Lower Greenville area is your best bet. An easy 10 minute cab ride from downtown, its packed with lively, fashionable bars like Truck Yard, HG Supply and Blind Butcher. If you get a chance, take your rental car and drive the 25 minutes to neighbouring Arlington to visit the Dallas Cowboys’ incredible AT&T Stadium (nicknamed ‘JerryWorld’ after the Cowboys’ colourful owner, Jerry Jones). ‘America’s Team’ recently overtook Manchester United, Barcelona and the New York Yankees to become the most valuable sports franchise on Earth, and there are hourly tours of the spaceship-like stadium. If Gridiron’s not your thing, consider heading up to the Dallas Arboretum – an Eden-esque enclave on the banks of picturesque White Rock Lake - for some downtime instead. Or failing that, hop over to the Sandbar Cantina in Deep Ellum for a couple of chilled drinks and a friendly game of volleyball with the ever-willing locals. 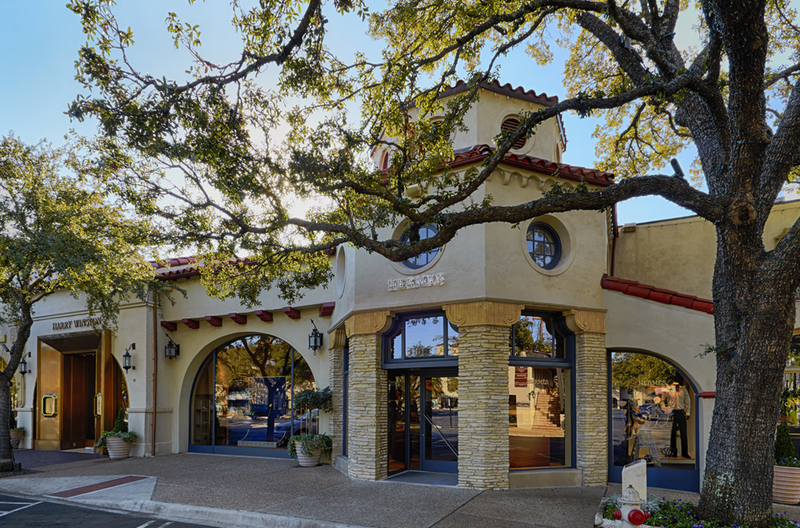 From Neiman Marcus’ glittering flagship store on Main Street to well-heeled Highland Park Village, the first outdoor shopping centre ever built in the US, there’s plenty to explore. But the quirkiest buys are to be found when you drive over to the Notting Hill-esque Bishop Arts District - where experimental art galleries rub shoulders with offbeat boutiques and bohemian design collectives. Likewise the up-and-coming Knox Henderson neighbourhood is also packed with quirky stores and one-off star purchases. If you’re extending your business trip, there are plenty of easily driveable destinations from Dallas – both day-trip and overnight. Fort Worth is the obvious option, with its popular cattle drive, world-class museums and outstanding BBQ restaurants, just 30 minutes west. Or for a truly special taste of the Texan cowboy lifestyle, head for Wildcatter Ranch, around 80 minutes further west, one of the most luxurious ranch-spas in the entire US. Jonathan Thompson has chronicled his journeys through 50 states and more than 100 countries in myriad magazines on both sides of the Atlantic, from Travel + Leisure and Conde Nast Traveller to GQ, Esquire and National Geographic Traveller. Follow his travels on social media: @JT_travels.